It was a somewhat subdued atmosphere on Monday night at the SIGNAL IDUNA PARK in Dortmund. 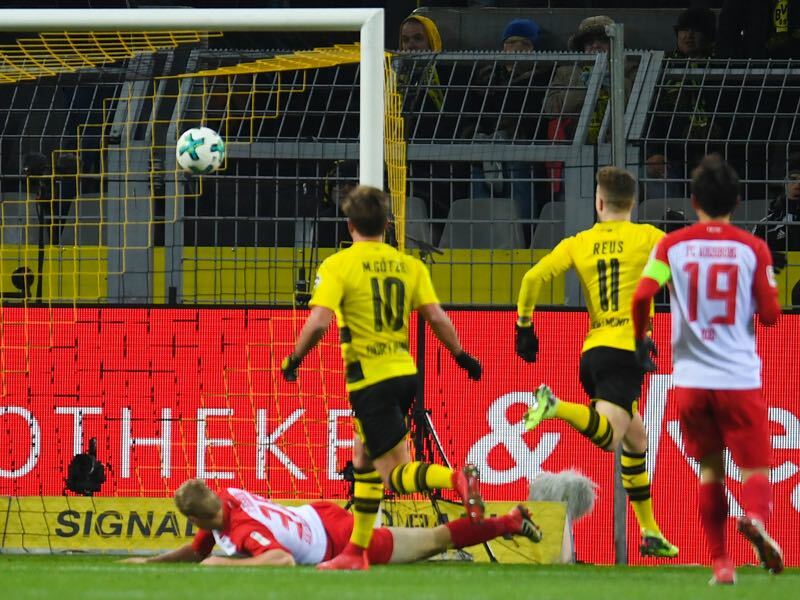 Borussia Dortmund were hosting FC Augsburg for the unpopular Monday night fixture and only in the first half did Dortmund play up to their standard scoring the opening goal after Augsburg defender Martin Hinteregger tackled into an André Schürrle cross right to the feet of Marco Reus, who had no trouble opening the scoring. It was Marco Reus’ second goal since returning to match duty on matchday 22. The attacking midfielder also scored a wonder goal against Borussia Mönchengladbach on matchday 23. Both the performances against Gladbach and Augsburg were subpar of what should be expected from a Dortmund side that is only second to star-studded Bayern München team in the Bundesliga. In both Bundesliga games, Reus was the difference maker through his brilliance. After all, it was Reus, who started the counter-attack playing in concert with his two friends Mario Götze and Schürrle. The trio combined their way through Augsburg’s midfield to score. Against Gladbach, it was a cross by Schürrle that would lead to Dortmund’s goal. It is not just in the Bundesliga where Reus has made a difference, however. On Thursday in the Europa League away to Atalanta Bergamo Dortmund also struggled. Going behind after a Roman Bürki mistake Dortmund struggled and were on the brink of being eliminated. Only after Reus came on with 31 minutes to go did Dortmund finally take control of the match. It was also Reus, who created the tying goal against the Italians that would see Dortmund advance to the round of 16. Slaloming through Atalanta’s defence, Reus let a ball fly that was dropped by Erit Berisha allowing Marcel Schmelzer to score the equaliser. Once again Dortmund were poor and were only able to salvage a result thanks to Marco Reus’ brilliance. It is, therefore, not wrong to speak of the Marco Reus factor when analysing Borussia Dortmund’s season. The captain missed the first 21 games after sustaining an ACL injury at the DFB Pokal final against Eintracht Frankfurt in May. Without him, Dortmund had a strong start under Peter Bosz only to quickly fizzle out in November where the club went without a victory. Furthermore, in the Champions League Dortmund managed just two points, two draws against Nicosia, to become the lowest third rank team in UEFA Champions League history. Of course, it would be too much to say that Dortmund’s poor performances were just down to the absence of Marco Reus. After all the attacking midfielder has missed games on many occasions in the past—during the 2016-17 Reus missed eight games with an injury, the season prior 30 games and the season before that 19 games—the history injury goes on and on and on. But in previous seasons Dortmund had the squad depth to compensate the absence of Marco Reus. Last year Ousmane Dembélé could often be found occupying the space that was left by an injured Reus—one could even argue the rise of Dembélé would not have been possible without Reus’ injury problems. The year before that it was Henrikh Mkhitaryan who could easily slot in to replace Reus. This year the story was a bit different. Dembélé left for Barcelona in the summer, and his replacement Andriy Yarmolenko has thus far struggled to get used to the Bundesliga. Maximilian Philipp, brought in from Freiburg to replace the injured Reus, suffered a horrendous knee injury in the Hinrunde. Other players in the squad like André Schürrle in the meantime were a shadow of their former selves. Schürrle, in particular, looked like a transfer candidate and it was only thanks to Peter Stöger’s intervention, and the lack of transfer alternatives, that Schürrle remained at the club. Schürrle has now been a big factor in Peter Stöger’s unbeaten run, as has been Mario Götze, who also is looking like a player re-discovering his form. Both already showed signs of recovery before Reus’ return, but now with Marco Reus back have made another big step forward. Reus is, therefore the key on this side. His brilliance, his ability to dissect defensive formations and his blind understanding with players like Götze and Schürrle have made him the missing puzzle piece. 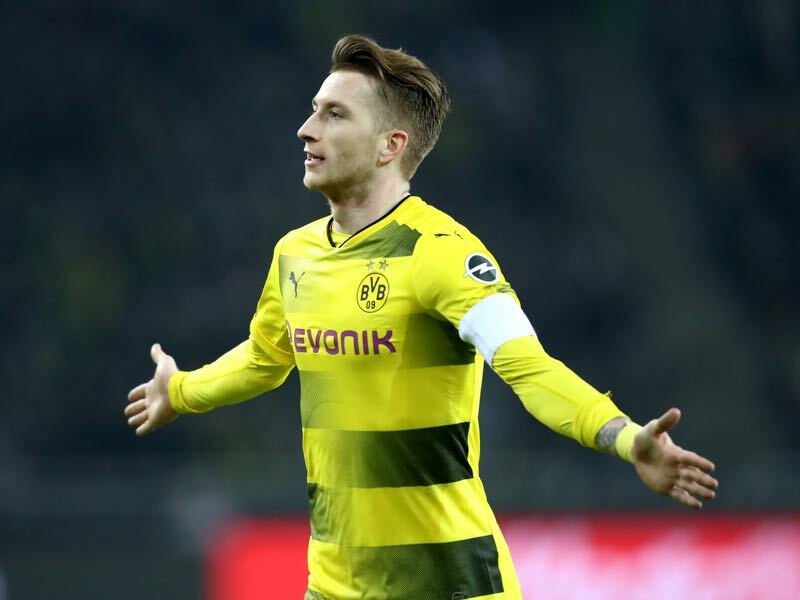 Reus is, therefore, the main reason why Dortmund, at a time where they play very basic football, have gone on an unbeaten run in the Bundesliga and can dream of a return of the Champions League next season. What will happen after that though? With just a DFB Pokal title to his name, Reus is understood not to prioritise money when it comes to his contract renewal— Reus’ contract will be up in 2019. The attacking midfielder has been honest that he may consider leaving the club for the right challenge—unless Dortmund show him a perspective that winning titles at the SIGNAL IDUNA PARK can once again be possible. 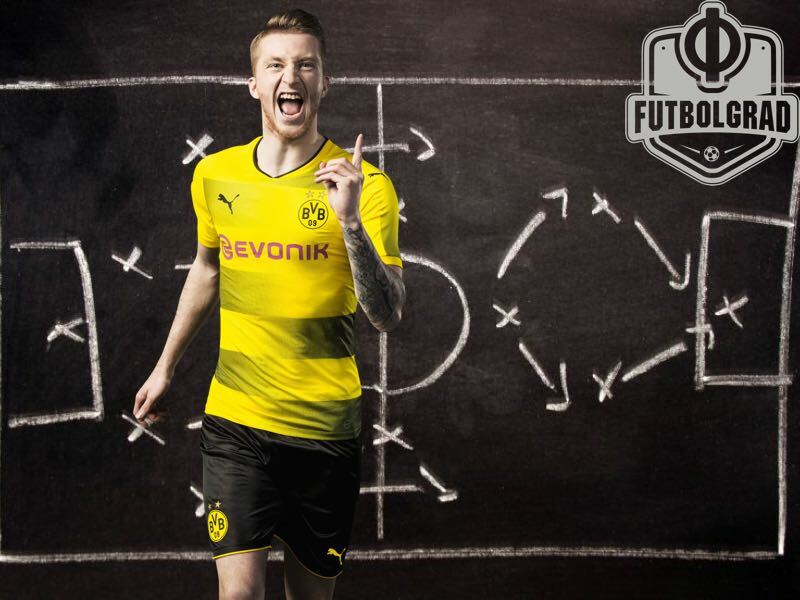 Reus will want to be surrounded by a team that can challenge for the top. This does not mean that Dortmund need to break the bank next summer. At the same time, the right decisions need to be made when it comes to squad depth, signing a striker, be that Michy Batshuayi or someone else, and a coaching staff that can get the most out of the squad, which does not mean Stöger is not the right man for the job. One thing is for sure. Dortmund will undoubtedly listen to their key player. After all, without the Marco Reus factor, the Yellow and Blacks would have been at best average over the last few weeks.